Martin Music Has Provided Central Ohio School Systems With Band And Orchestral Instruments For 65 Years! One Simple Program...One Simple Fee! Rent To Own! New Or Used! 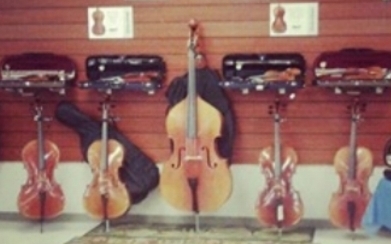 Rental to rent with three year equity build up on any of out beginner orchestral stringed instruments. All Rental Fees Go Towards Purchase For Up To 3 Years! Maintenance included! Two Months Down Gets You Started. Return At Any Time. Fee Includes Tax and Maintenance!